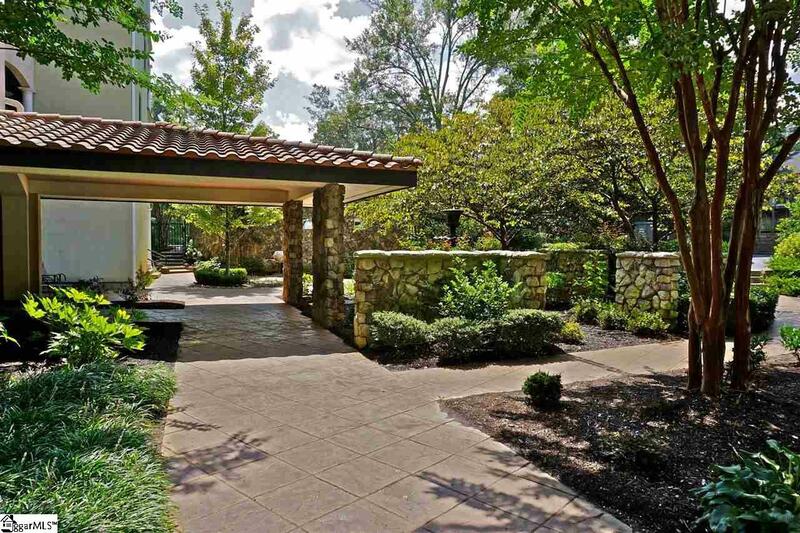 Large 2 bedroom, 3 bath + bonus room condo in Downtown Greenville. Located in the heart of Cleveland Park with walking access to the Swamp Rabbit Trail, Main Street, and the Wellness Arena. 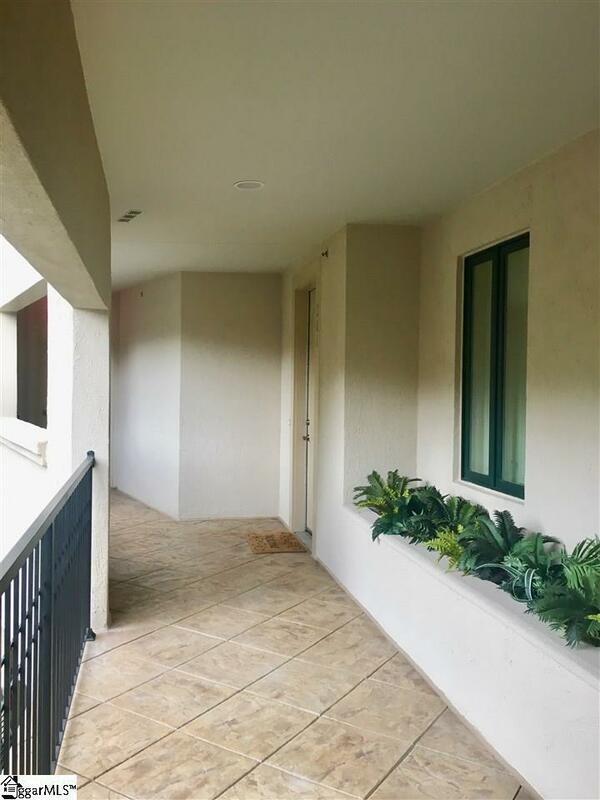 This upscale condo is in a gated community and has covered parking with plenty of guest parking. 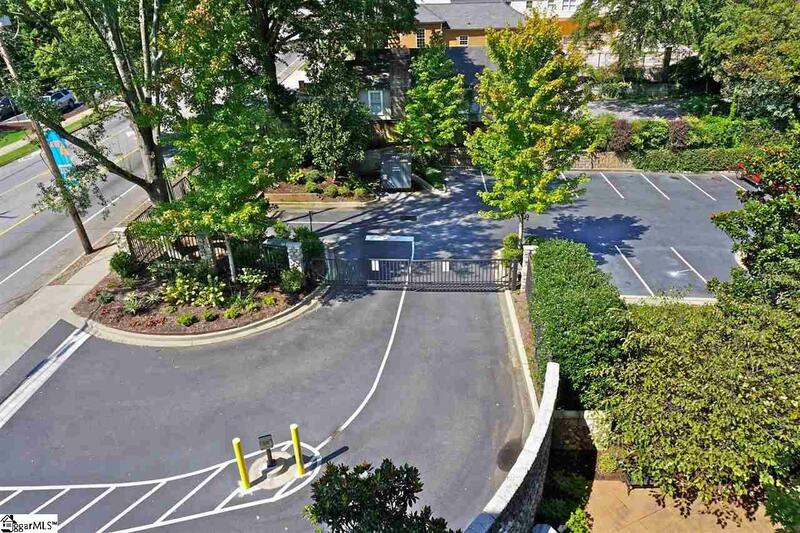 Walk out onto your private double balcony to enjoy the sound and view of Richland Creek and a private park space. 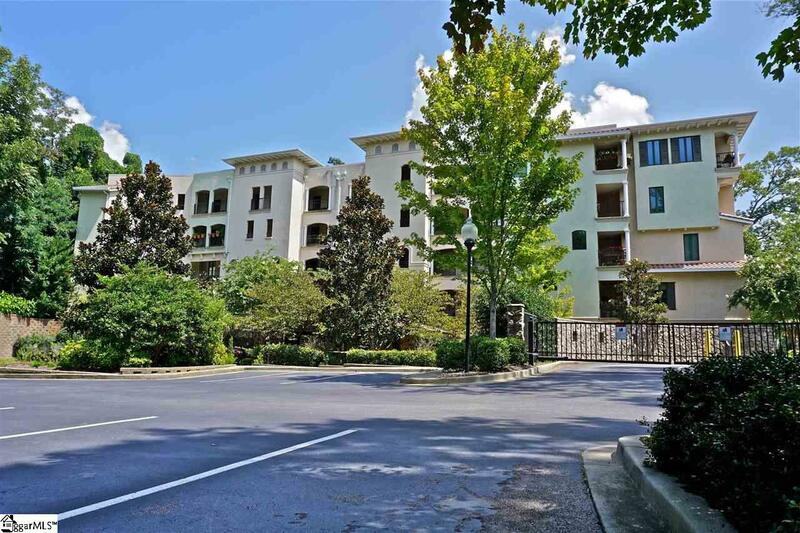 With approximately 2500 sq feet, this one level penthouse style condo has the largest floorplan in the Richland at Cleveland Park. Spacious bedrooms and private baths, ample natural light & windows, walk-in closets and laundry room, a 3rd flex room that can be used as a bonus room, office, or 3rd bedroom, high ceiling heights and crown molding, granite wet bar, and gas logs ... the list goes on! This home has been transformed with new KitchenAid appliances, beautiful wide plank Brazilian tigerwood floors, brand new paint, and recessed lighting throughout, a custom walk-in closet system in the oversized master suite closet, and a modern master bathroom finished with a marble double vanity top with a large shower that is custom tiled with a glass surround, duel shower heads with Delta jets and California Faucets thermostatic controls. The common area includes a patio with gas grills and a gas fireplace for outdoor gathering. This one has it all see it today!